Retail in the digital age: What’s the second big change your business must make to thrive? Recently, we looked at the importance of data and how gaining insights from this data is the first change that retail store owners must make. But there’s a second change required to thrive at retail in the digital age. Bricks and mortar stores aren’t dead; the nature of retail is just changing. From the consumer’s perspective, the line between physical and online stores is blurring. Retail must respond to this by making the shopping experience a seamless one between bricks and mortar and online. Remember, in the last article I mentioned Alibaba? Well, the company calls this concept “New Retail” and you may know it as “omnichannel” retail. 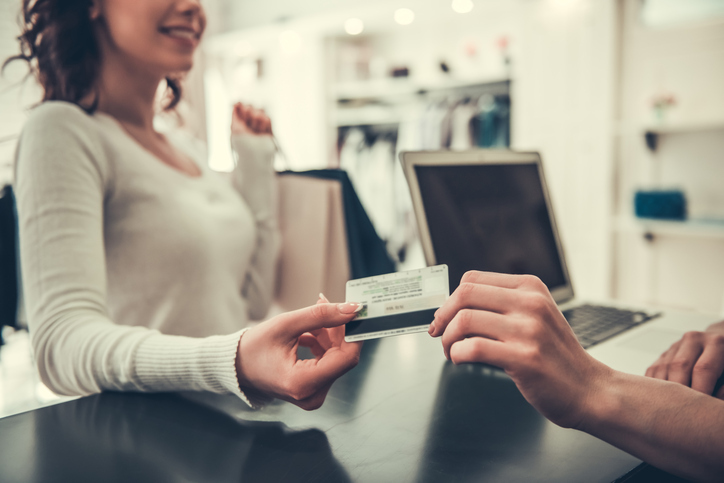 A seamless shopping experience is part of the overall customer experience when they interact with your retail business. This experience must become the focus of your entire business. In the case of Alibaba, they know that their customers are spending more time than ever on shopping and entertainment platforms. This means that there are more opportunities for them to buy more – if Alibaba gets the user experience right. Which they have done to date in a big way! While Alibaba and Westfield represent retail on a massive and global scale, their approach is also relevant to all retail businesses in the digital age. Are you prioritising the customer experience in your business? How seamless is the line between your bricks and mortar store and your online store? Do sales in your online store deduct from your stores inventory immediately? When the sale happens are you immediately notified? Does your online store have the same look and feel as your bricks and mortar store? Is it more than just a “look-book”? Can people actually make a purchase from your online store? Can people Click, Pay & Collect? These questions are important to answer positively, especially if the products you sell in your brick and mortar store are sold by local competitors OR national/international competitors. Even if you specialise in unique, hard-to-find products, if your online store presence isn’t up to scratch you will be missing sales. For instance, if a customer is looking for coloured shoelaces and you are the only one in town stocking Cool Brand A but they can’t buy from your online store, they will buy from a competitor with Slightly Less-Cool Brand B online. It’s not about bigger or better but faster. And, if people can’t buy from you online, then you’re slow. But the customer experience is about more than simply providing products from your store. Customers come back to your store because you give them an experience that others don’t. If you continue to do this, you will continue to thrive. I am not just talking about the phone call you give them when one of their favourite brands comes in. It’s about experiences. What can you bring to your customers that no one else does? Is their experience undermined because the sales assistant didn’t greet them, for example? How are you providing the same level of service online? How can you enhance your customers’ experiences so they think of you first every time? In this busy world, people shop when they remember they need something. I have shopped in doctors’ waiting rooms before. So why should I come back to your store? Bear in mind that the customer wants to learn from you. Educate them on how to use your products. Show them how they can wear that shirt or pair of jeans and look great. Provide them with an experience that reflects their lifestyle and values. The value of providing a complete customer experience cannot be underestimated. And – even better – you have all the tools available to collect data on your customer to provide all the information you need about customer expectations and needs. « Retail in the digital age: What’s the first big change your business must make to thrive?